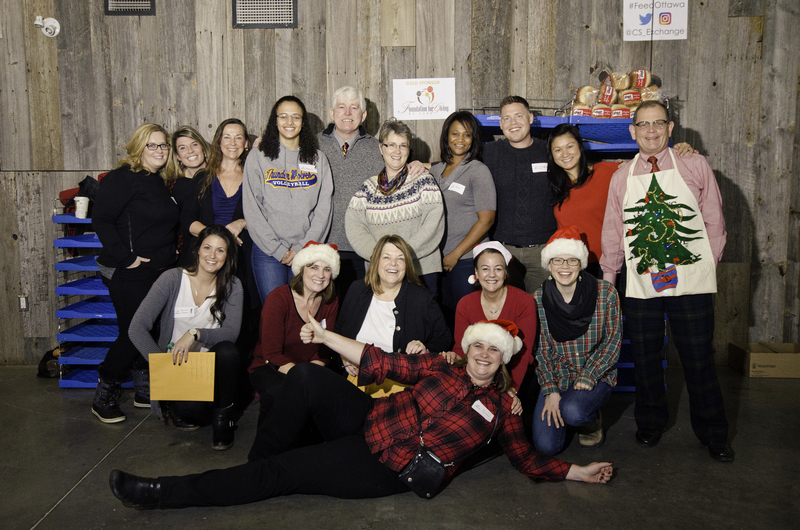 Every year during the holiday season, teams from our Corporate Sponsors join us alongside community leaders and volunteers to pack and deliver hundreds of food hampers to families in need in the community, all in a single day! 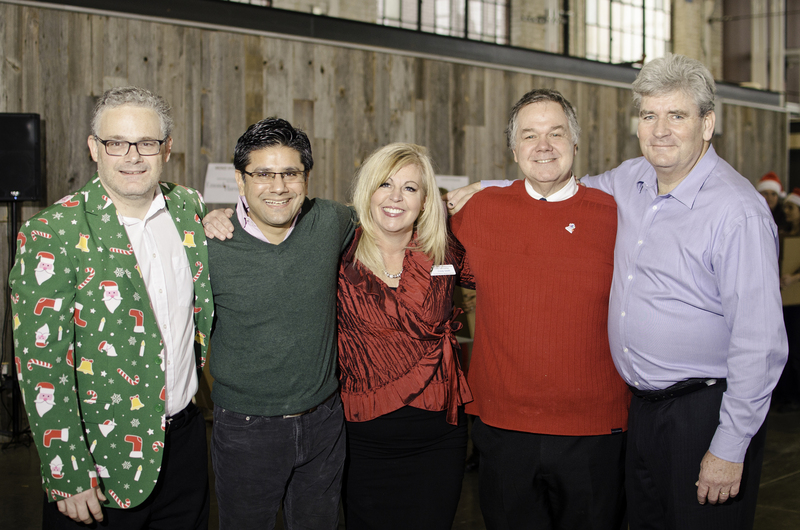 This festive event is an opportunity for Sponsors and their teams to give back to the community right here in Ottawa. 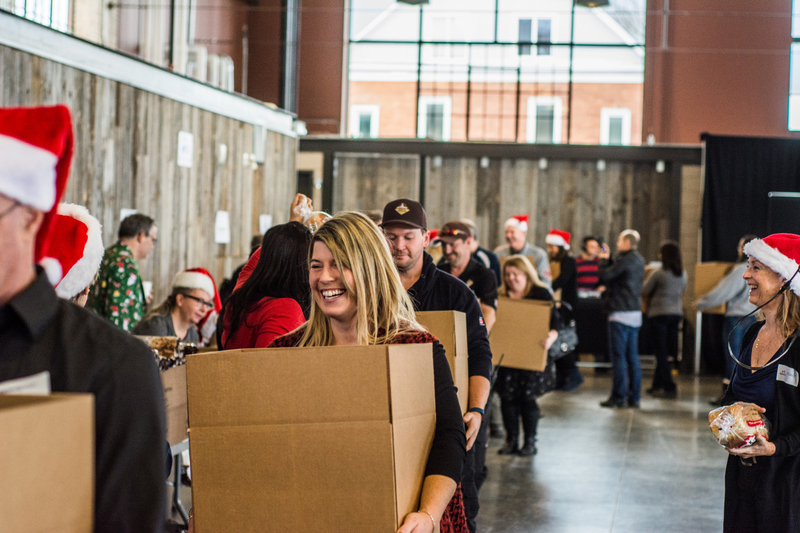 This year's Hamper-Packing Day takes place Thursday, December 20th at 8:30 a.m.
"This experience is rewarding in so many ways and means a lot to us all here at Innovapost. Being able to help and give back to the community is what we're all about! "The Hamper-Packing event challenges our employees to come together to support such a great need for families in our community. It's a great way to increase employee involvement, raise awareness of the needs in our community, and do something that feels good! And for those who take it one step further and volunteer to deliver the baskets, the smiles from the families is the best reward." Opportunity for a team of up to 50 to participate in a Community Hamper Packing Day where they will pack and deliver hampers for families in need. A Media Advisory listing participants will be distributed to local media, Platinum sponsors will be more prominently featured in the Advisory. Opportunity for a team of up to 25 to participate in a Community Hamper Packing Day where they will pack and deliver hampers for families in need. A Media Advisory listing participants will be distributed to local media. Opportunity for a team of up to 10 to participate in a Community Hamper Packing Day where they will pack and deliver hampers for families in need. A Media Advisory listing participants will be distributed to local media. Logo - website recognition (Full year) with a link of your website. Opportunity for a team of up to 5 to participate in a Community Hamper Packing Day where they will pack and deliver hampers for families in need. A Media Advisory listing participants will be distributed to local media. *Thanks to partnerships with local suppliers, we purchase food in bulk to secure this price per hamper.